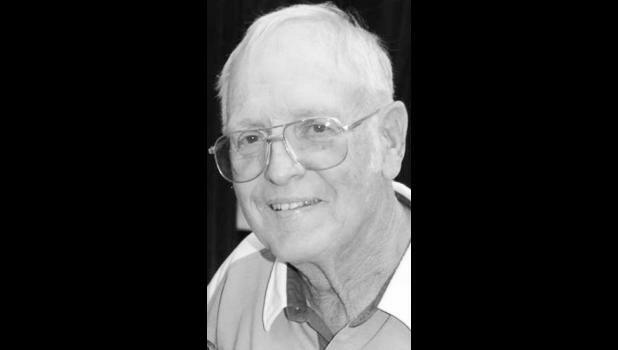 Martin Shumaker, 77, Netawaka, died Friday, June 1, 2018, at St. Francis Hospital in Topeka. He was born June 2, 1940, in Sabetha, the son of Walter and Martha Martin Shumaker. He graduated from Wetmore High School in 1958 and was a lifelong resident of Brown and Jackson counties. Mr. Shumaker worked for Goodyear Tire Company for 37 years, retiring in 2002. He was a member of Wetmore United Methodist Church, Goodyear Union Local 307, Wetmore FFA and NRA. He married Marilyn Hoffman on Sept. 19, 1959, in Centralia. She survives. Other survivors include three sons, Brad Shumaker and wife Tracey, Todd Shumaker and wife Sandy and Chris Shumaker and wife Elaine, all of Netawaka; a sister, Ruth Erlenmaier, Wetmore; 12 grandchildren; and 23 great-grandchildren. He was preceded in death by his parents and a grandson. Funeral services will be held at 10:30 a.m. Wednesday at Wetmore United Methodist Church. Burial will follow in Wetmore Cemetery. Family will greet friends from 6 p.m. to 8 p.m. Tuesday at Mercer Funeral Home in Holton. Memorial contributions may be made to Wetmore United Methodist Church or Wetmore Academic Center, sent in care of Mercer Funeral Home, P.O. Box 270, Holton, KS 66436.